FREE Website Hosting with WEEBLY and user friendly tools. You don't have to be an IT expert to be able to put together your own website, with tools that make it so easy, you are up and running in minutes. Better still, the website was hosted completely FREE OF CHARGE. I would be happy to point you in the right direction, even start you off. We have since expanded our use of Weebly and started to use on-line forms/applications, which is only available with the Weebly Pro version, which also then gives us unlimited pages and sites and we pay circa £3 per month. OnLine Court Bookings with SUPERSAAS. The very best and easiest to use system that is flexible that you can manage your courts, different sports all in one place. With costs from only £5 per month, you can help yourself and members make the most of your facilities. My support will be to show you how it can work, help you setup the entire system, it really is that easy and then to configure your own super-users to help you manage it for yourself. FREE OnLine Leagues. I found a FREE online League system offered by IN-ZONE that enables you to manage your internal or possibly external leagues. not just limited to squash. You can configure your own Leagues, Divisions, Members and Logons, making it easy to post results and promote/relegate as required. You can even design your own point allocations to suit your current needs. In-Zone also offer Member Management and Booking systems, which although we have not utilised and can carry charges, make it a potential one-stop shop for your club. FREE Email Campaigns and Marketing. 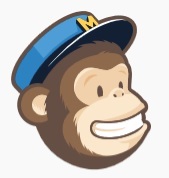 with MAILCHIMP. I have also started using a really good FREE email service to keep in contact with Squash Members. This has the capacity for upto 20,000 emails each month and helps me keep in touch with our members, notify them of events and useful club information. Happy to share this with you and give a few tips how it can help save you time and effort! OnLine Member Management with Club Buzz, a very useful and low cost way to manage your members on-line, with a fantastic link to GoCardLess to offer Direct Debit payments. GoCardLess Direct Debit. With a 1% charge (upto £2) on successful transactions and no setup costs this combined with Club Buzz is proving to be a great solution for our club. My aim is to share my experiences and research and help you get the most out of the Internet and set up the best possible and easiest to use and maintain OnLine Booking System for your organisation. I am more than happy to help with discussing your ideas and needs and even setup a quick FREE Trial System for you to see for yourself how OnLine Bookings could work for you. Feel free to get in touch, click on the Enquiry Button on the right. Click Here to send an enquiry to find out more!